Customer service - Changzhou Fushite drying Engineering Co., Ltd.
Tel timely access profile, professional and technical personnel to get in touch with customers, presentation of the company, technical strength and drying equipment situation, understanding of customer needs, recommend the appropriate equipment to quickly provide the appropriate design. For the implementation of special sample preparation materials, test data acquired perfect design. 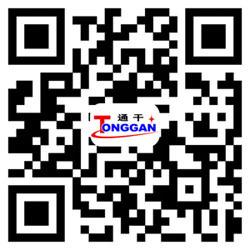 To provide the relevant drawings, technical information to assist users with implementation of equipment installation and construction preparation work, and timely notification to the user equipment production speed, production quality. Progress of the project to ensure that users and equipment manufacturers were synchronized. Handling emergencies, maintain good communication with the user. ① Free sent to the user side equipment installation guide, responsible for commissioning work until delivery. ② Responsible for user operation, maintenance skills training personnel. ③ Long-term to provide spare parts at competitive prices. ④ Date equipment from the factory one year warranty, the warranty period due to the damage caused by the quality of the device itself, responsible for free repair, as a result of operational failure caused by improper reimbursement of the cost, maintenance and implementation of 48 hours of service, that user receives users must be answered within the first 24 hours feedback problem, if not resolved over the phone, then within the next 24 hours arrived at the scene to solve user problems.